If you have "something old," do you restore, adapt, update or re-design? 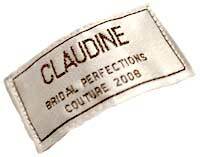 As a third-generation, international couture wedding gown designer, Claudine has the artistry, skills and experience to redesign and repair heirloom wedding gowns, as well as to envision new creations for wedding attire and other very special occasions. Creating your dream bridal gown begins with carefully understanding what you desire for your special wedding. Choosing fine-quality fabrics and laces, every seam and detail in your gown will be finished with exquisite care. See our gallery of custom wedding dresses. 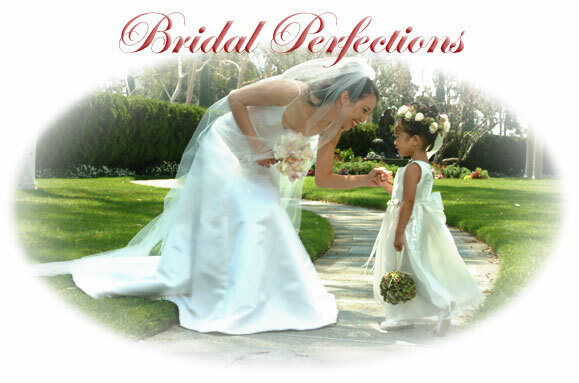 Claudine of Bridal Perfections has been designing and creating dream couture wedding gowns that exceed brides' expectations for more than thirty years. She carries on a tradition begun by her great-grandmother, practicing Old World couture bridal gown craftsmanship. Schedule your first creative design appointment. Serving clients around the world from her bridal salon, Claudine's couture bridal dresses have been worn in Argentina, Canada, the Caribbean, Costa Rica, France, Israel, Italy, Mexico, South Africa and Spain, and at Russia's Bolshoi Ballet. Your privacy is always respected at Bridal Perfections. Everything that transpires between you and your couturiere is your secret, to share or not. We only share a bride's photos and comments with her kind permission. “Models” are the exception! Except where noted, all photos show actual Bridal Perfections brides and their gowns. One such exception is seen in the slide show on this page, featuring a couture bridal gown by Claudine.